Tumako is a Toronto-based Funk, Afrobeat and Soul/Rock Group. 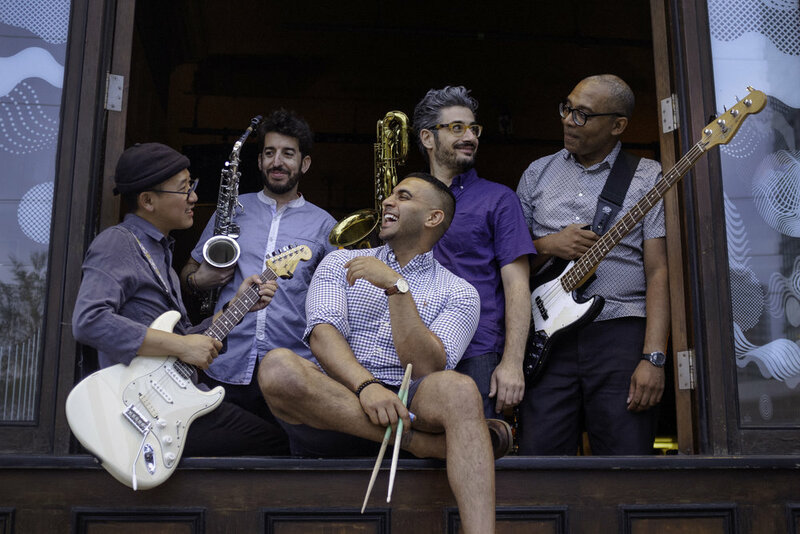 The five members combine tight, accomplished musicianship with total commitment to setting a groove that energizes audiences and inspires people to dance. Through its live shows, Tumako has been bringing fun, percussion-driven music and strong improvisational stylings to Toronto audiences since 2015. In April of 2018 Tumako recorded a six song EP of originals at Trench Recording Studio. With a strong emphasis on in the pocket grooves, melodic horn lines, and exciting arrangements, the band is sure to have the audience up on their feet and dancing! Leave us a message and we'll get back to you! Copyright © 2018, Tumako. All Rights Reserved.